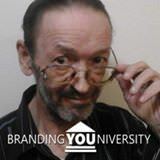 The Home Of FREE Personal & Commercial Branding Training!! Helping EVERY Disabled Blogger. We CAN Help YOU!! Join Us For YOUR Personal & Commercial Branding & Website Design Training!! Your Story Is Your Money! !